Apologia Exploring Creation With General Scienc, Grs. 6-8 -- $25 ppd. Good. hardback textbook, solutions & tests no edition number so 1st?. 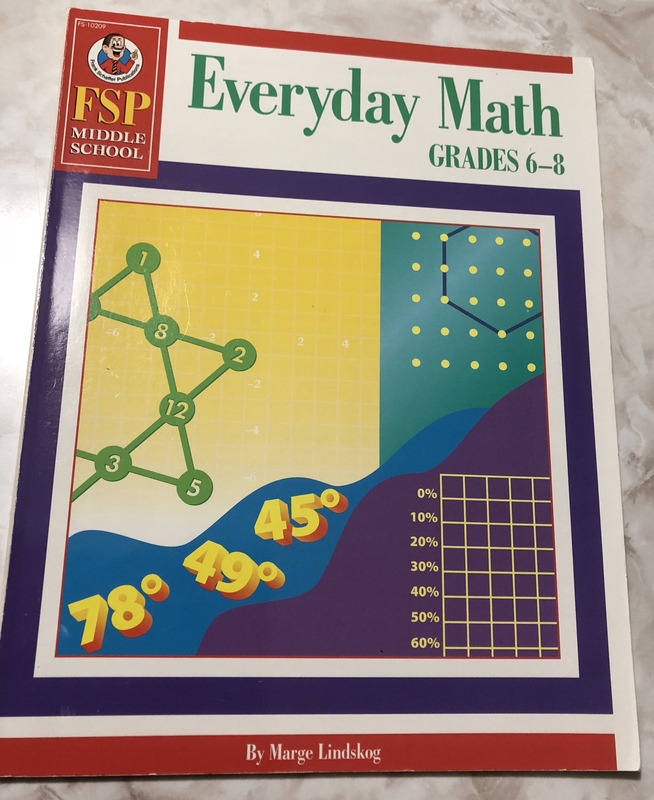 Frank Schaffer Everyday Math , Grs. 6-8 -- $13 ppd. 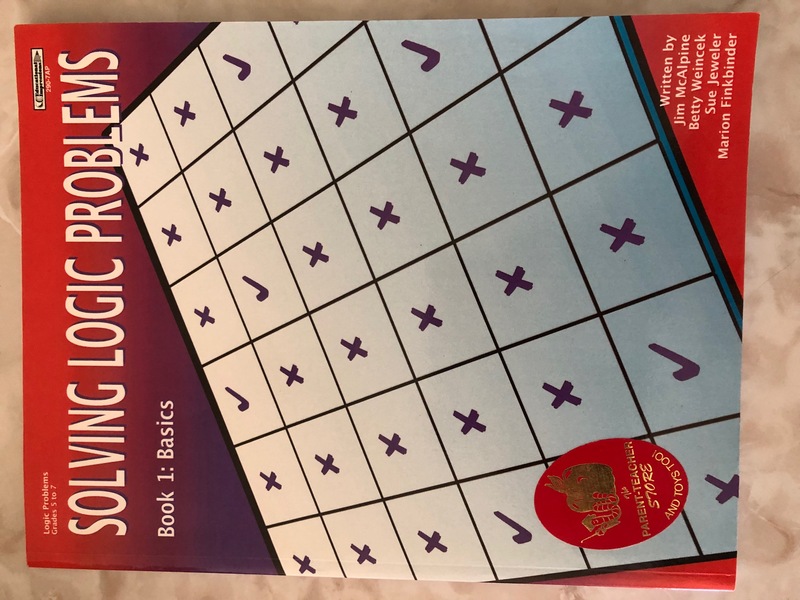 Logic Problems - 2 books , Grs. 6-8 -- $11 ppd. 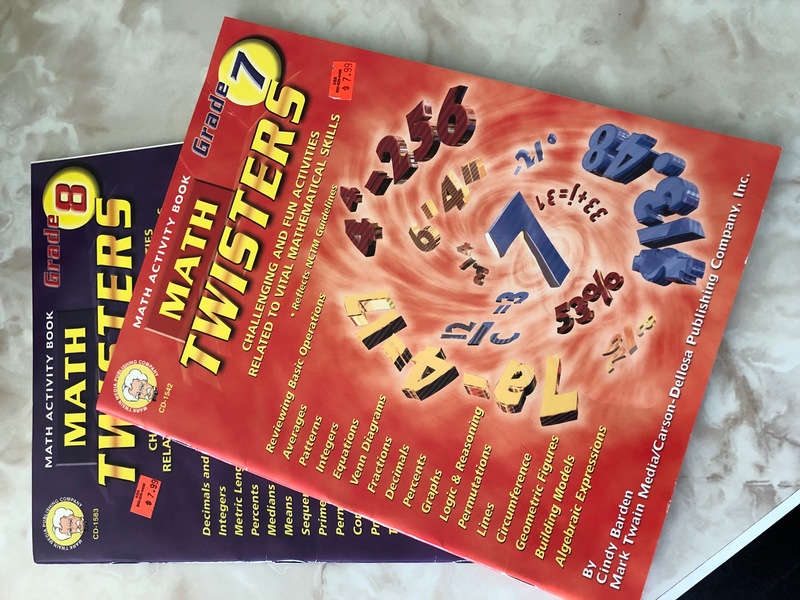 Math workbooks, 5-8th level , Grs. 6-8 -- $20 ppd. 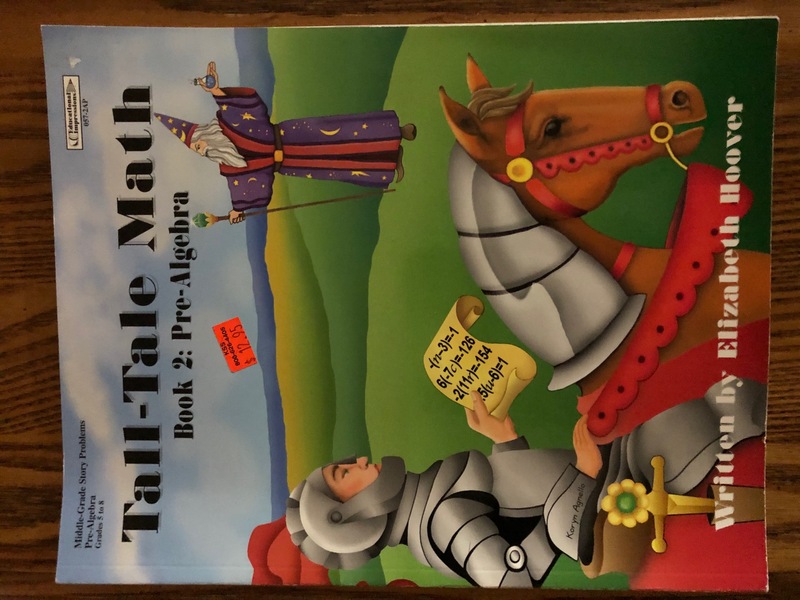 Pre-Algebra workbooks - two books, Grs. 6-8 -- $10 ppd. 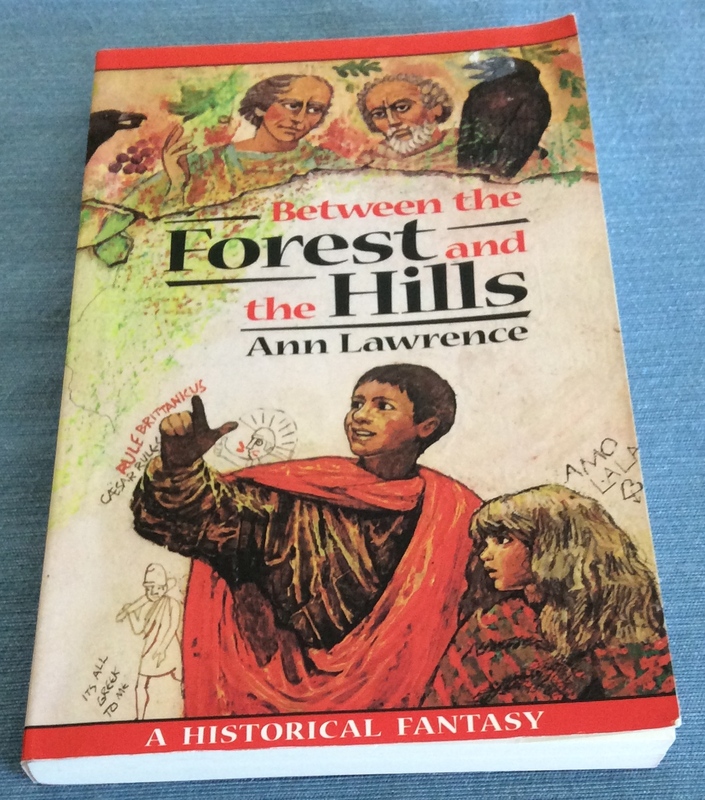 Reading Skill Building - 2 books, Grs. 6-8 -- $10 ppd. 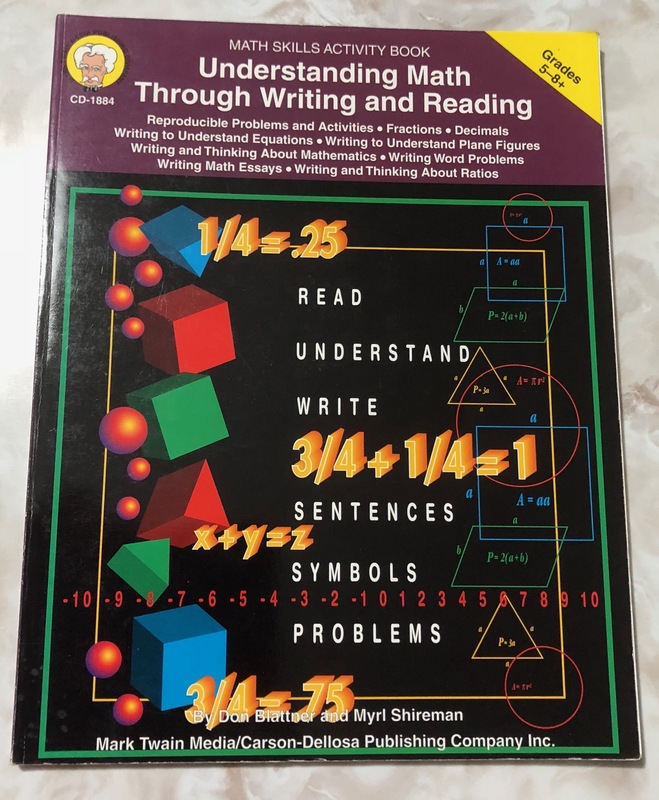 Understanding Math Thru Wr & Rdg, Grs. 6-8 -- $10 ppd. New. slightest shelf wear, no writing, Carson-Dellosa Publishing Co.